Sketor, you're to be congratulated!! You've found information that's an excellent addition to our insignia website, namely, the insignia of rank from Monaco!! You're the first person in the history of the website to find this information, and you've really added to our collective knowledge! Thanks Sketor!!!! This is GREAT!!!!! Hi Sketor, I checked my emails this morning and nothing there can you send me the other information on Monaco and we''ll have a look. :) :) :) Cheers. 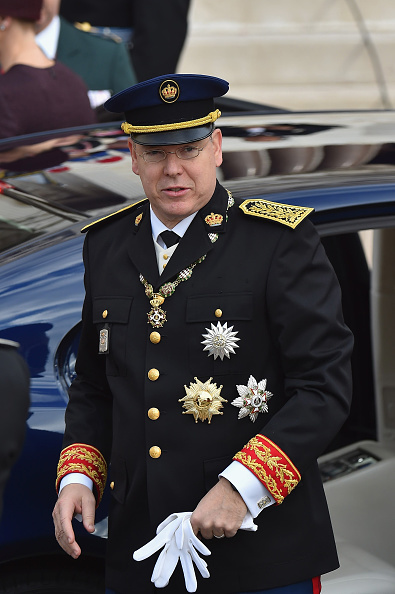 What is this rank insignia that Prince Albert II wears on uniform. I see oak on epaulet and oak is sign of generals. 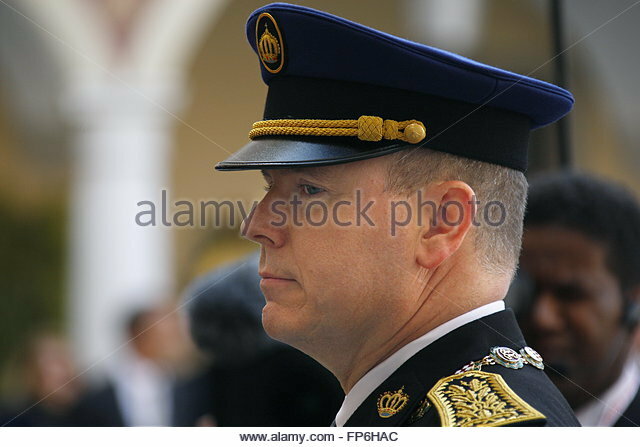 Snake wrote: What is this rank insignia that Prince Albert II wears on uniform. I see oak on epaulet and oak is sign of generals. I think oak leaves is all that it is. Since there's no army, he's not a "commander-in-chief" in the strictest sense so it's more of a "decorative" rank rather then a operational one. This is insignia of commander-in-chief since prince is holding this position. Somebody should made this insignia and add it as it is insignia for commander in chef and reserved only to current prince of Monaco. The reason why I think those leaves are decorative and not, strictly speaking, a rank insignia is that if you look at the 3 pictures, while they all have leaves, they clearly are of a different pattern which would make sense considering he is wearing different order of uniform. Add to that the fact that they look more to me like the embroidery on civilian uniforms like french prefects then the other insignias worn by the carabiniers (and are not on any charts I have been able to find) and this makes me think that it is part of his princely attire and not an insignia of commander-in-chief. Although this might seem like spliting hair, the difference to me is between a de jure insignia like that worn by the governor generals of canada and australia on military uniforms and a de facto insignia like the US presidential seal which was worn most notably by Georges Bush when wearing some sort of uniform. Although the later can only be worn by the commander in chief, it is not, strictly speaking *the* insignia worn de jure by the president in his capacity of commander in chief.